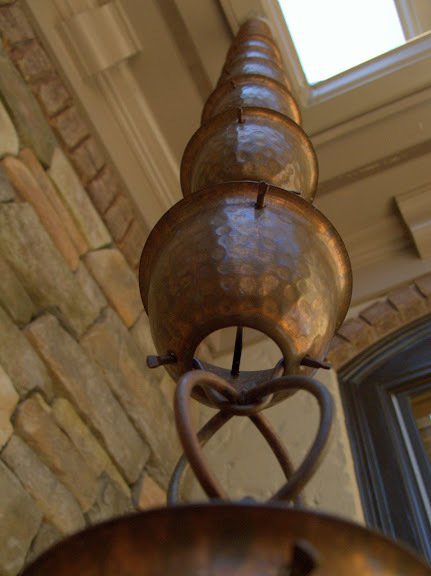 This hammered cup copper rain chain replaces the traditional downspout. We visited the Southern Living Showcase Home at the Riverfront community in Suffolk Virginia today. The rain chain caught my eye and was pretty cool and interesting. They say it makes a great running water sound during a rain. Canon G10, 1/500 sec @ f/2.8, ISO 200, 11mm equivalent focal length.